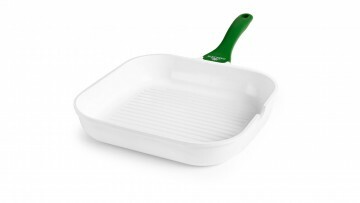 Vibrant green and white colours are typical of the Vitality series. 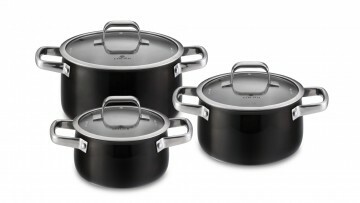 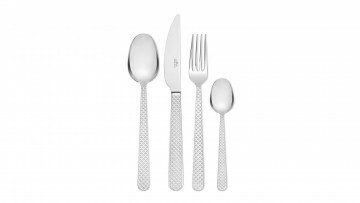 This beautiful cookware will add glamour and style to every kitchen. 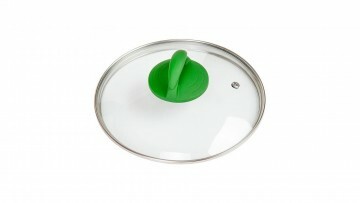 The fitted glass lid is equipped with special steam vents to reduce excess steam in the dish. 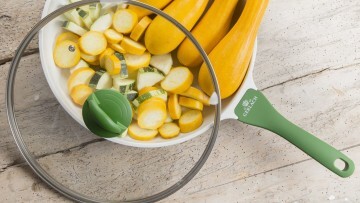 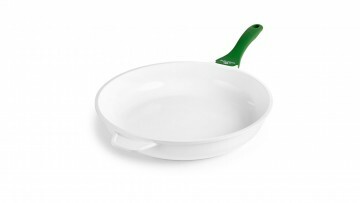 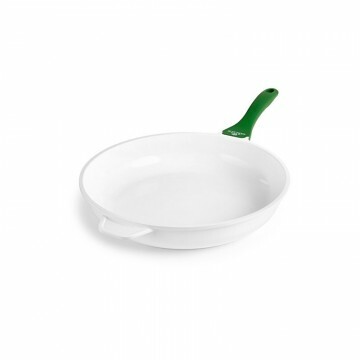 The silicone, anti-slip and cool touch handle will make manoeuvring the VITALITY series Pan Lid safe and convenient.